DESCRIPTION: This satchel/travel bag is absolutely gorgeous!! 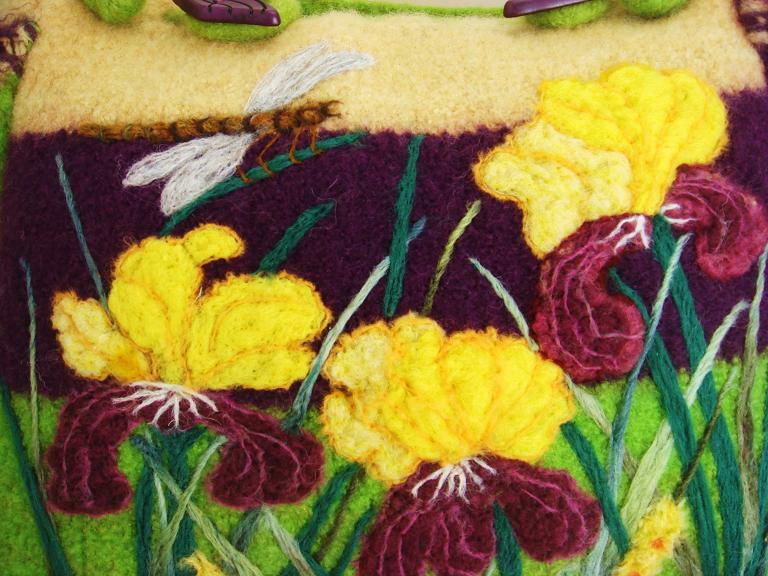 The colors of grass green,sunshine yellow,and eggplant make a perfect background for these royal irises with a dragonfly. It has two side pockets for cell phone, water bottle, etc. . The adjustable double handles are long enough to wear on your shoulder or carry in your hand. They have a drop of 18" but can be shortened. The bag closes with 2 eggplant buttons. 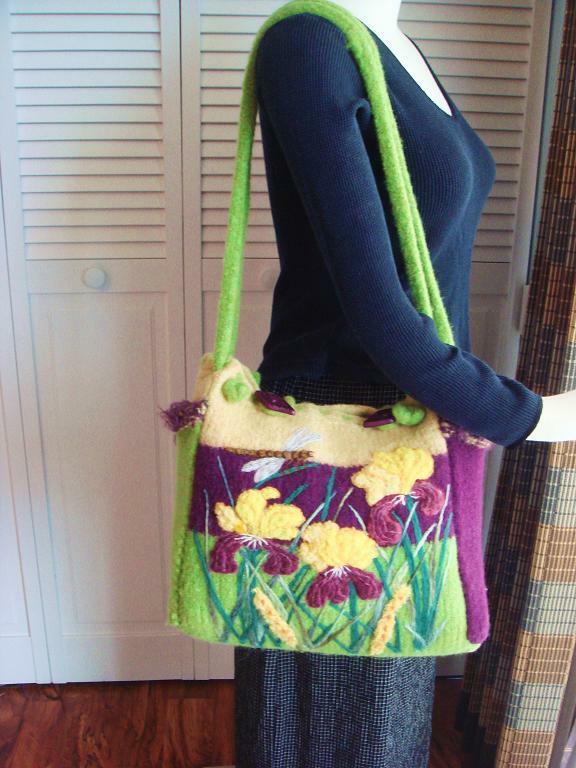 This bag measures 16" wide by 13" high by 6" deep. What a beauty!! MEASUREMENTS: 16" X 13" X 6"
Treat your “Felted Fantasies” purse for what it is—"ART with a purse attached." Spot cleaning is preferable, but if needed, you can soak it in cold water and a non rinse soap. Stuff it with plastic bags for shaping, and let dry. 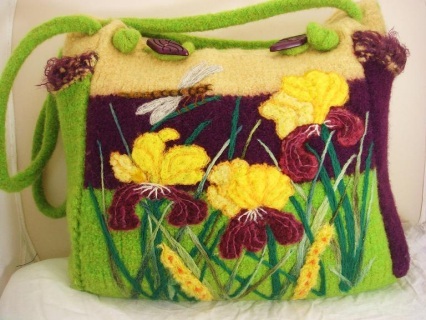 If wool balls appear on the surface of the purse, snip them off just like you would a wool sweater.